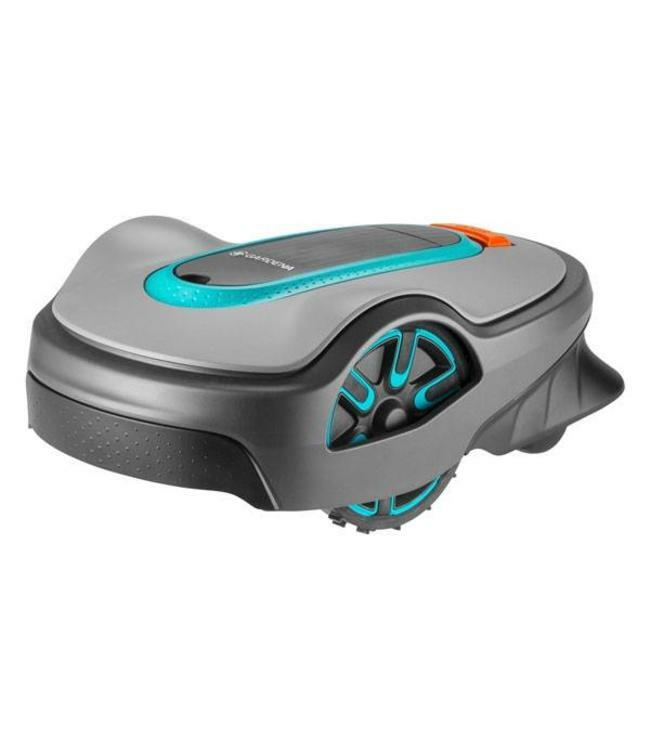 The robotic lawn mower can be used in gardens of up to 1,250 m2 and is equipped with a robust lithium-ion battery. It overcomes gradients of up to ±30 % (17°). Due to its quiet operation, it can also be used well at night. There can be defined up to three points where the robot mower has to start its mowing cycle. As a result, the robot lawn mower also reaches remote areas on complex terrains, which are connected to the main area only through narrow passages. Thus, the remote start function can be used to achieve a consistently evenly cut lawn throughout the garden (including ancillary areas). In order to handle even narrow passages optimally, the Gardena Sileno life 1250 is equipped with the so-called "EasyPassage" function. The robot lawn mower is able to recognize narrow passages and to adjust its navigation accordingly. You can individually set certain times for the robotic lawn mower to start mowing. All settings can be made via a user-friendly LCD display with keypad. The lawn robot follows its schedule reliably. It mows even in rainy weather. When the battery is low, the robot mower returns to the charging station in order to recharge for the next mowing task. The robot mower moves randomly across the lawn. Three sharp, rotating blades cut the grass. Depending on need and preference, the cutting height can be varied between 20 and 50 mm. The fine grass remains fall to the ground as a mulch. The mulch adds moisture and valuable nutrients to the soil and the lawn is naturally fertilized. A healthy, dense and lush green lawn is the result. The so-called "SensorControl" function contributes to improve the quality of the lawn. 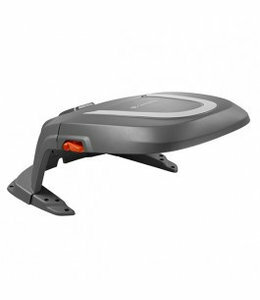 It allows the robotic lawn mower to automatically adjust its mowing frequency to the grass growth. In drought conditions, it reduces its mowing frequency to prevent the lawn from drying out. It increases the mowing frequency again when the grass grows stronger during rainy periods. The lawn is so optimally maintained at all times. can recognize obstacles. When it encounters an object, it continues in another direction. PIN code and an anti-theft system further protect the robot mower. All accessory parts for installation are included: boundary wire, cable pegs, cable connectors and detailed installation and operating instructions. This makes the robot lawn mower ready for the first mowing operation in just a few steps. The Gardena Sileno life 1250 is relatively handy: With approximately 8 kg, it is one of the lighter robot lawn mowers. Unlike other lawn robots, this model can be cleaned with the garden hose/ with water. This makes it very easy to clean.